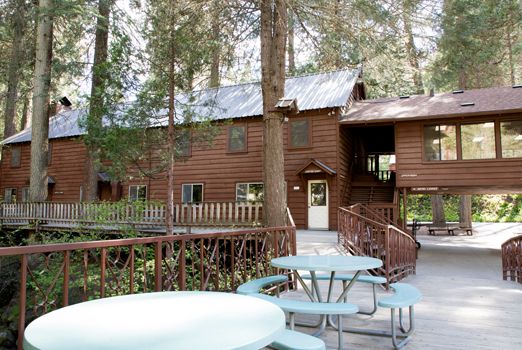 Semi-deluxe lodging with linens and towels included and shared bathrooms. 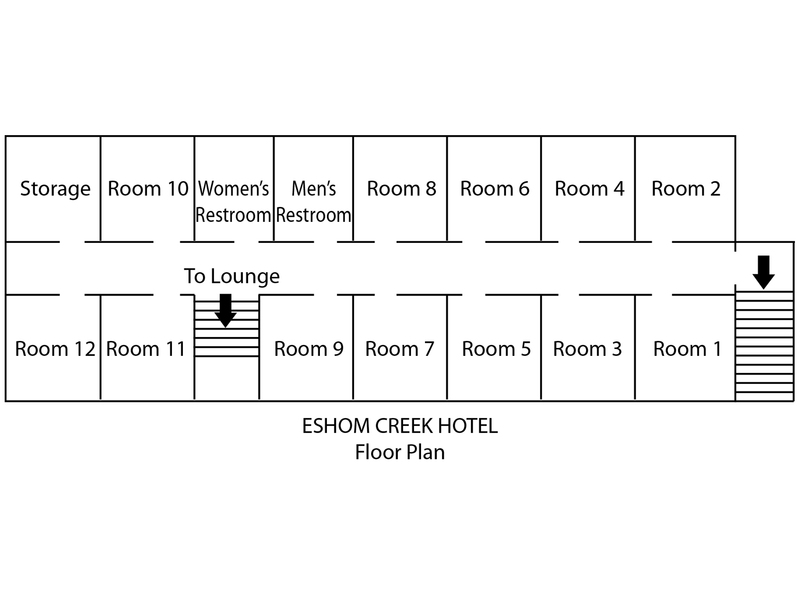 All rooms in the Eshom Creek Hotel are upstairs. 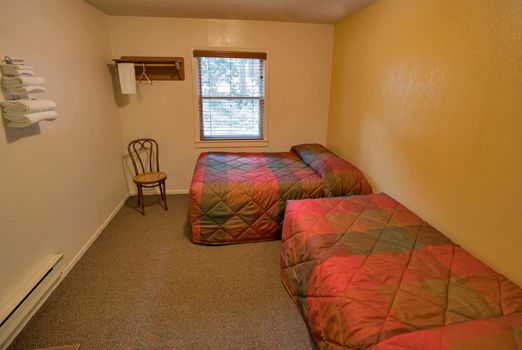 Each has a double and twin bed as well as a desk and space to hang clothes. The two restrooms are shared by all Hotel guests. 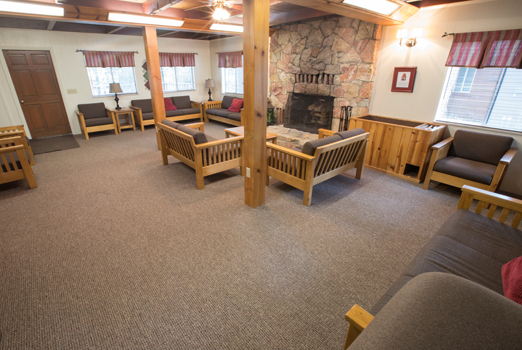 A lounge accommodating 30 people is located downstairs. Restrooms are nearby.